Clean – Every few months take a can of compressed air blow the debris and dust out. Accumulated dirt collects inside the printer and can wear out components like the feed rollers, gears and heads. Dry – In environments such as coffee shops, avoid handing over anything liquid to the customer over the cash register. Outdoor functions can be risky when it comes to spillage or even the elements. 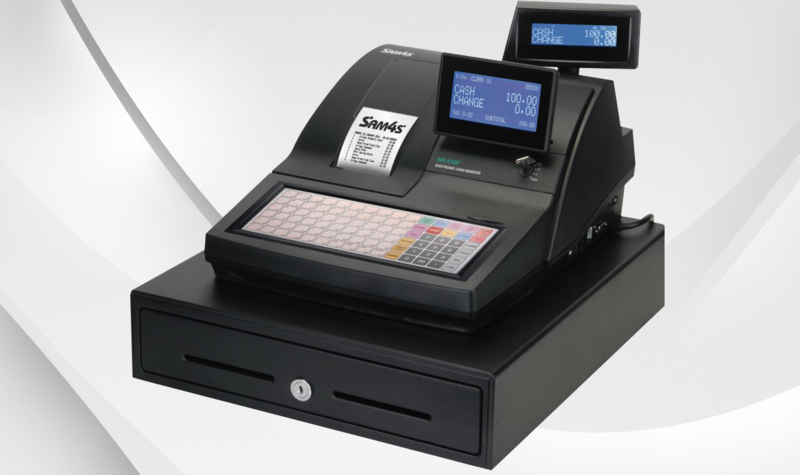 In those situations cover the cash register with a plastic sheet. Ribbons – Replace empty paper rolls as soon as possible. Cash registers that do not use the new thermal printers use ink. If the machine runs out of paper then the ink can soak the feed roller and it can swell. Roll Direction – One common mistake is to unroll the printer paper roll in the wrong direction. Unlike some other printers and papers, the direction does matter. The correct direction will mean that the paper feeds from the bottom of the roll.